Saliva is crucial for tasting and digesting food, but scientists have now found that it may have another, more subtle role. Salivary proteins could be part of a feedback loop that influences how food tastes to people—and by extension, what foods they're willing to eat. The researchers hope that, one day, their findings could help consumers stick to a healthier diet. Many healthy foods—like broccoli and dark chocolate—taste bitter, Cordelia A. Running, Ph.D., says. She set out to see if eating bitter foods would help people overcome an aversion to bitter compounds. Thus, they could eat more of these healthy foods without cringing. "By changing your diet, you might be able to change your flavor experience of foods that at one point tasted nasty to you," she says. While saliva consists almost entirely of water, it also contains thousands of proteins released by salivary glands. Some of these proteins are thought to bind to flavor compounds in food and also to taste receptor cells in the mouth. Certain proteins may be responsible for the astringent sensations, such as dryness and roughness, that develop when eating some chocolates, red wine and other foods. "If we can change the expression of these proteins, maybe we can make the 'bad' flavors like bitterness and astringency weaker," says Running, who is based at Purdue University and is the principal investigator of the study. In prior work with rats, Running's fellow researcher Ann-Marie Torregrossa, Ph.D., and colleagues showed that a bitter diet altered expression of proteins in the rodents' saliva. Those changes in protein composition correlated with the rats' feeding behavior. After initially cutting back on bitter foods, the animals apparently experienced less bitterness and resumed normal eating levels. Inspired by the work of Torregrossa, who is now at the University at Buffalo, Running decided to see if the same thing would happen in people. 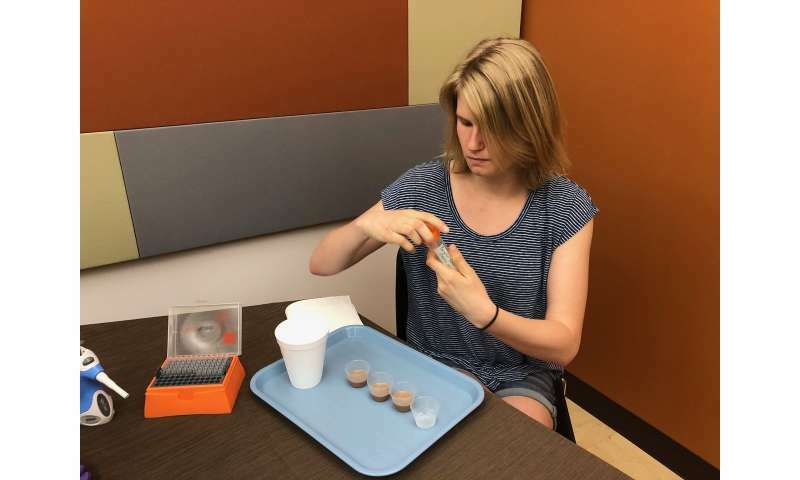 Running's team carried out sensory evaluation tests in which they asked participants to drink chocolate almond milk three times a day for a week and rate its bitterness and astringency. The researchers found that the protein composition of the participants' saliva changed during that week. Several proline-rich proteins, which can bind the bitter/astringent compounds in chocolate, increased after drinking the chocolate almond milk. The changes in these proteins corresponded to changes in sensory ratings: As these proteins shifted up, the sensory ratings for bitterness and astringency shifted down. "We think the body adapts to reduce the negative sensation of these bitter compounds," Running explains. The findings to-date support the idea that "saliva modifies flavor, which in turn modifies dietary choices," she says. "Those choices then influence exposure to flavors, which over time may stimulate altered expression of saliva proteins, and the circle begins anew. Maybe this knowledge will help someone stick to a healthier diet long enough to adapt to like it." Running plans to investigate the particular compounds in food that elicit changes in salivary proteins. In chocolate, for example, she wants to know what concentration of bitter polyphenols is necessary to affect expression of salivary proteins. She also wants to assess how long it takes to reduce the bitter taste of any given food and whether mimics for salivary proteins could someday be added to food to improve its flavor. More information: Flavor influences diet, but diet may also influence saliva, which in turn may influence flavor, the 256th National Meeting & Exposition of the American Chemical Society (ACS). Saliva is the chemical media of the mouth. The composition of this media is thus critical to the experience of flavor as well as to explaining individual differences in flavor perception. A host of potential flavor binding proteins in saliva have been identified for decades. Yet, how flavor exposure or dietary patterns might alter the longer term dynamics of human salivary protein expression remains relatively unexplored. In several studies, we have collected data on dietary habits and sensory perception of various flavor compounds, as well as used dietary interventions to explore how these factors may interact with salivary proteomes over time. Through these experiments, we are discovering that many of the previously identified binding proteins in saliva may be modifiable by exposure to their flavor ligands. Furthermore, dietary choices such as fruit and vegetable consumption may alter expression of salivary proteins potentially linked to texture perception, inflammatory response, and enzymatic activity in the mouth. 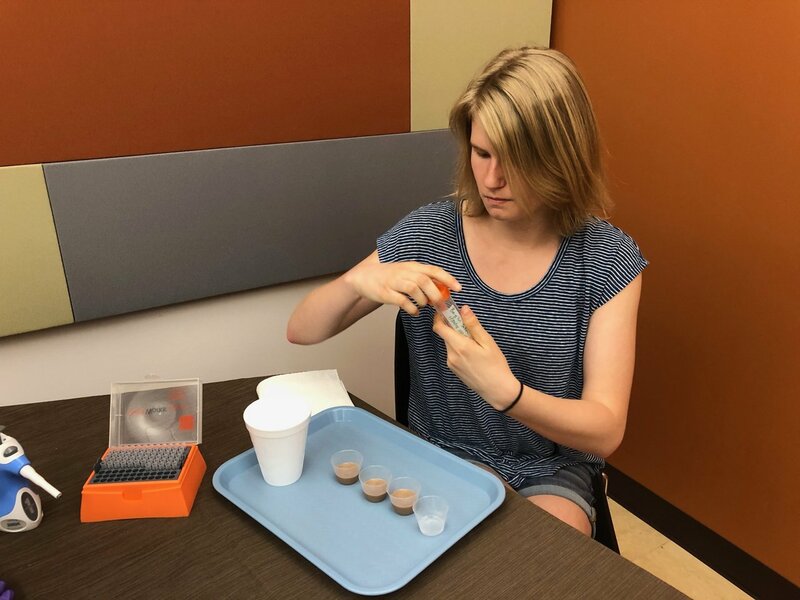 Analyzing the salivary proteomes at the individual level is allowing for improved detection of these effects, as well as expanding our understanding of the variability of salivary proteomes from one person to the next. Thus, a new picture of saliva as a dynamic medium is developing: saliva modifies flavor, which in turn modifies dietary choices. Those choices then influence exposure to flavors, which over time may stimulate altered expression of saliva, and the circle begins anew.